This movie follows two siblings, Kate and Teddy, and their first Christmas after losing their Dad. We are introduced to Kate channelling all her grief into Christmas spirit and Teddy who has gotten involved with petty crime. The pair are left alone on Christmas Eve as their Mum id called in last minute to work and after looking though some old homemade videos Kate spies a flash of red that she believes is the real Santa. In a last-ditch attempt to repair her and Teddy’s relationship, Kate convinces her brother to stay up all night and catch Santa on camera. The siblings succeed and in a turn of events go on an adventure to help save Christmas. This Netflix Original follows the typical Christmas movie plot line of ‘Christmas is in danger and the Holiday Spirit needs restoring’ and is therefore, quite predictable. The target age range for this movie is quite hard to pin down. It struggles from not knowing if it should tackle darker themes of grief or stick to its traditional plot of ‘saving Christmas’. The decision to give Santa’s Elves their own language and therefore subtitling their speaking parts leads me to think this movie isn’t aimed at young children. However, although this movie suffers from some poor plot points there is some positive aspects to this film. The young actress that plays Kate, Darby Camp, gives a good performance and is to be expected after her role in the 2017 TV show Big Little Lies. For such a young actress, she presents well and doesn’t suffer from the annoyance that some child actors portray. 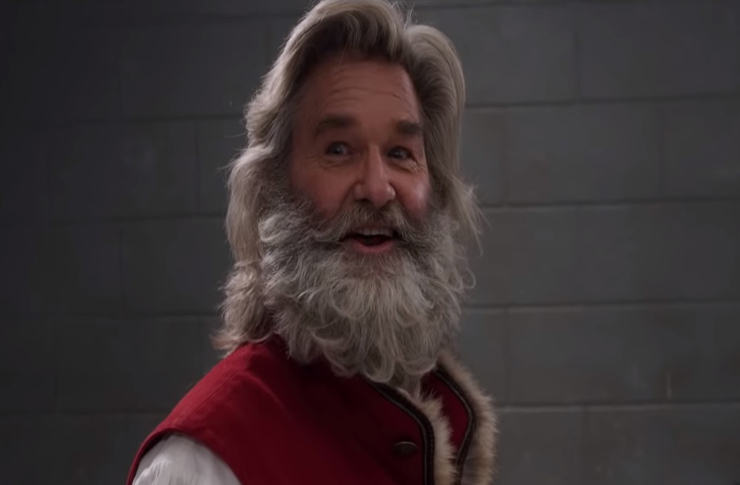 Furthermore, the costume design for Saint Nick is very well done. It returns to the more classic images of a dark red suit and fur trim compared to the commercial Coca Cola look. Ultimately if you are looking for a movie to fill your Sunday night and to procrastinate your Uni work with then I’d say this movie could help you out. However, if you just want to get into the Christmas spirit, I’d suggest you stick to the classics like ‘It’s A Wonderful Life’.